During oral arguments Thursday for the Trump administration’s appeal of a court ruling invalidating the key portions of the president's executive orders targeting federal employee unions, judges spent most of their time focused on one issue: whether they are even allowed to hear the case. In May 2018, President Trump signed three executive orders designed to make it easier to fire federal workers, streamline and limit the scope of collective bargaining negotiations, and significantly reduce the amount and activities eligible for union "official time." Unions quickly sued in U.S. District Court, arguing that the president lacked the authority to issue the orders and that they violated the 1978 Civil Service Reform Act that codified collective bargaining in the federal workplace. U.S. District Judge Ketanji Brown Jackson last August agreed, finding that taken together, the orders’ key provisions amounted to an effort to “eviscerate the right to bargain collectively” at federal agencies. The administration appealed that ruling to the U.S. Court of Appeals for the District of Columbia. 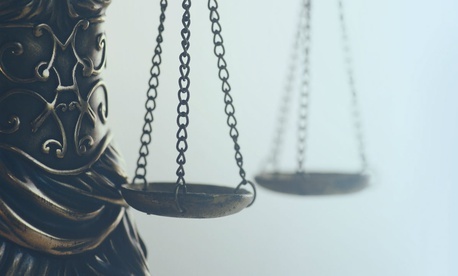 The Justice Department has consistently argued that the district court and now the appeals court lack jurisdiction to hear the case, because the issues involved are within the purview of the Federal Labor Relations Authority. Joseph Busa, an attorney representing the Trump administration, said the lawsuit was an attempt by unions to perform an “end-run” around the proper process for objecting to actions taken in collective bargaining, which is filing an unfair labor practice complaint with the FLRA. The three-judge panel pressed Busa on that notion, noting that the original lawsuit was a “facial challenge” to the executive orders and named Trump as a defendant. “They can’t bring a claim before the FLRA against the president,” Circuit Court Judge A. Raymond Randolph said. “But they can gain precisely the relief that they want [before the FLRA],” Busa responded. “That’s a different question,” Randolph said. Andres Grajales, an attorney representing labor unions, faced similar questioning. He argued that because the executive orders seek to establish governmentwide rules that are not subject to collective bargaining negotiations, the FLRA cannot weigh in on their validity, so any review by that agency would be deficient. And he noted that the agency does not hear each case that it receives: the general counsel can simply determine a case lacks merit and effectively table it. “Isn’t that just a consequence of the scheme [established by Congress]?” Judge Thomas B. Griffith asked. Greg O’Duden discussed the merits of the case on behalf of the unions, and said that the ability to create governmentwide rules that are not subject to collective bargaining negotiations is not intended to take away core aspects of bargaining itself. “That provision merely means that to the extent there are residual powers that the president retains post-enactment, he keeps them,” O’Duden said. “It doesn’t mean he gets to resurrect himself and return to the executive order regime that was in place before the statute."